South London’s Multiple Award Winning Market – Award winning Tooting Market gets better and better. Voted Best Small Indoor Market in the UK at the Great British Market Awards 2017! Tooting Market has been established for over 80 years as South London’s premier indoor market. Tooting Market launches its newest expansion, the Yard Market. What was previously an underused empty yard area has now become a vibrant, colourful shopping destination. With over 7000sq.ft. of new retail space, we have curated a creative mix of 14 new retail & food units and a 3500sq.ft. gym. 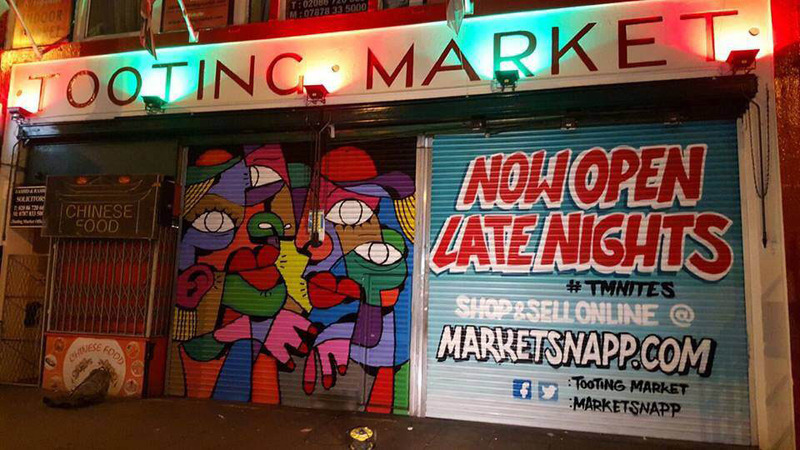 You can now experience our newest traders, BYO (Bring Your Own) – Tooting’s first zero waste retail unit, The Athenian Greek Street Food, Poptata chip heaven, Herbies vegan restaurant, F45 Gym (the fastest growing gym franchise on the planet), Bubble Waffles & Crepes, Nutmeg Gifts and many others. To find the Yard Market, enter Tooting Market and look out for the colourful Yard Market neon in the centre of the market by the public benches. You can also enter the Yard Market from 20 Totterdown Street. We hope to see you soon at the award-winning Tooting Market! 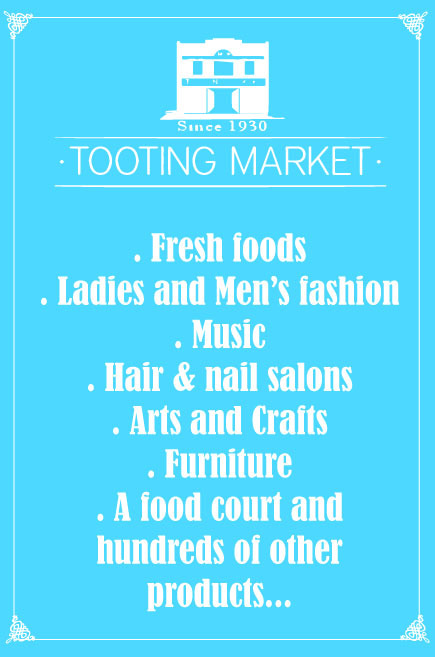 Tooting Market hosts a variety of tenants selling fresh foods, ladies and men’s fashion, music, hair and nail salons, arts and crafts, furniture, a food court and hundreds of products to choose from so you’ll be sure to find what you are looking for.